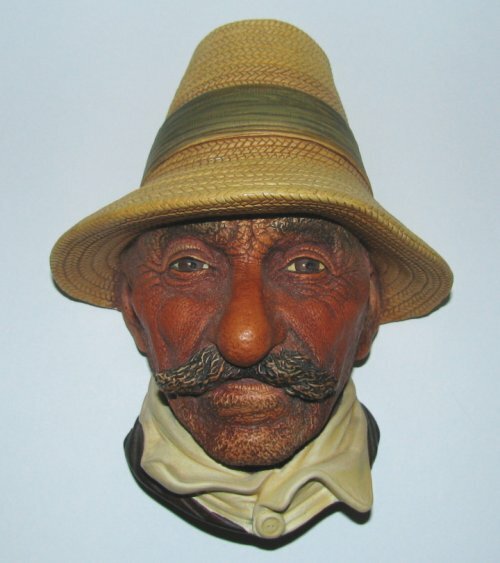 Bossons Rumanian Chalkware Head - Vintage Bossons Figurine! Vintage Bossons chalkware Rumanian head. A VERY FINE character wall mask from 1971. Measures about 5 1/2 inches high, 4 inches across the brim of the hat. In very good condition, with several small flakes on the hat.